"The villa itself was fantastic - Cavtat was a total delight - only three minutes walk - filled with interesting restaurants and sights, yet so close to Dubrovnik"
Stunning Villa Cavtat is situated just above the old town in beautiful Cavtat – about 5 minutes from the centre of the bay and sea edge! 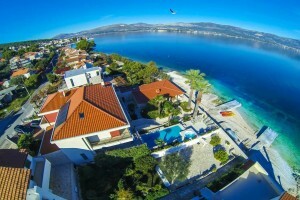 "An absolutely wonderful house for a small party"
Cavtat's Villa Concordia is the genuine getaway experience - set in the very heart of elegant and historic Cavtat, close to the mill pond sea & swimming spots of the bay. 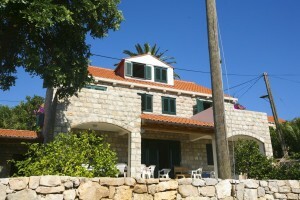 "Villa was lovely - clean, spacious"
Kolocep Villa is a beautifully located house situated overlooking the stunning bay of Donje Celo, on the island of Kolocep - it is ideal for those who want to enjoy the beautiful nature and peaceful surroundings of the island. 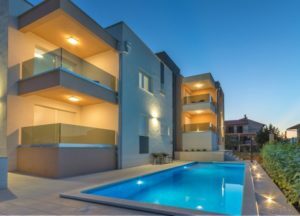 Villa Violet has a great position, just 50m from the sea - lounge around on the terraces by the pool, enjoy the views of Kastela Bay and the mountains from the roof terrace, or take a walk to a nearby restaurant or beach bar – this is a great place to relax. Villa Cha Cha is within a small complex of villas set on the sunny side of a hillside to the east side of the island of Brac on the edge of the small village of Splitska - surrounded by Mediterranean plants, olive trees and conifers, it’s the perfect place to chill out, yet within a 5-10 minute walk you can reach the beach, a restaurant, and supermarket in the centre of Splitska. Croatia is a fabulous choice - It's well into the season but just before the main period so all the locals are in full swing but not to busy. The scenery has really come to life and the light is gorgeous, reflecting off the wonderful Mediterranean colours like the turquoise sea and terracotta roofs of the old traditional houses. The olive trees and lovely flowers are in bloom and it's all just wonderful.